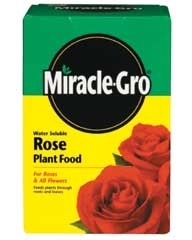 Fertilizer, Insect and Disease Control, Lasts up to 6 weeks, promotes strong roots and beautiful blooms. Image coming January 2011. Rose-tone is a premium rose food designed to supply the necessary nutrients for growing prize winning roses. The organics in Rose-tone breakdown gradually providing a safe, long lasting food reservoir activated throughout the growing season. Rose-tone’s all natural formula now contains Bio-tone®, our patented blend of beneficial microbes. Bio-tone biologically enhances our natural plant food to ensure superior plant growth. Designed to feed roses and all flowers through both the roots and the leaves to give plants the nutrients they need for strong, vigorous growth. Starts to work instantly for quick, beautiful results. Won't burn your plants when used as directed.